Wicked Cool Toys has entered into a strategic and worldwide licensing agreement with Original Appalachian Artworks, Inc., to become the Master Toymaker for the iconic and beloved brand, Cabbage Patch Kids®. Created by Xavier Roberts, The Cabbage Patch Kids® have been welcomed as family members around the globe for over 30 years. With more than 130 million Cabbage Patch Kids and Little People® finding homes since 1978, the brand has generated more than 6 Billion dollars in revenue to date. "Cabbage Patch Kids - recently accorded the status of one of the most influential toys of all times by Time Magazine - are one of the most recognized brands in the world, and we are honored Xavier Roberts and the Cabbage Patch Kids team entrusted us with this significant opportunity," explained Michael Rinzler and Jeremy Padawer, Co-Presidents, Wicked Cool Toys. "The Cabbage Patch Kids global phenomenon struck in 1983 when Coleco introduced unique, one of a kind dolls with their own individual name, Birth Certificate and Adoption Papers. 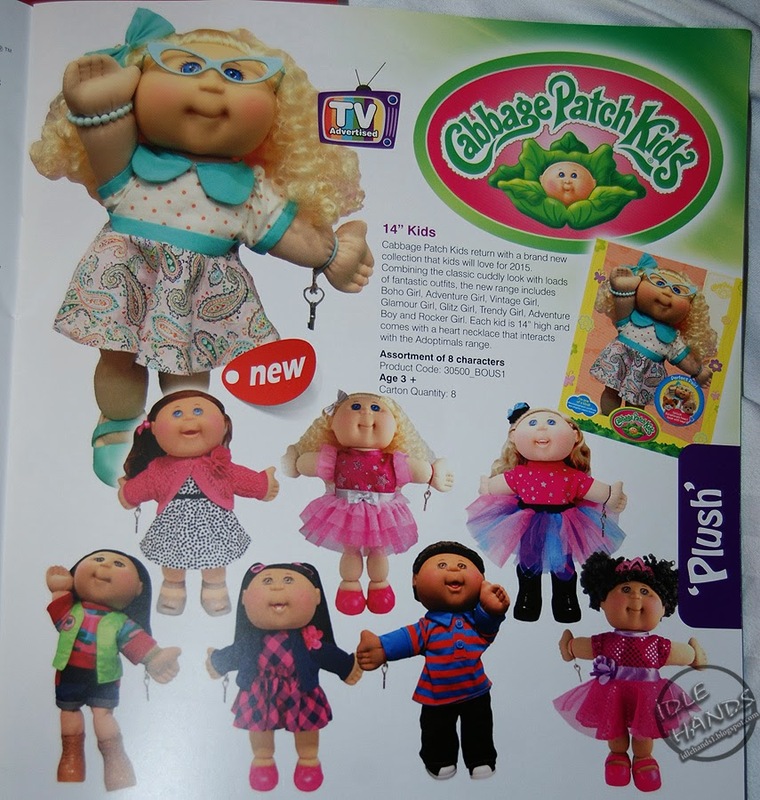 Cabbage Patch Kids are our top priority and we will continue creating excitement for both children and adults who have warmly embraced CPK for more than 30 years." "Cabbage Patch Kids become friends for life," said Xavier Roberts, their creator. "I have confidence Wicked Cool Toys will expand their footprint taking them to new and exotic locations and I'm excited to see their vision expressed through our Cabbage Patch Kids for millions of current and future fans." 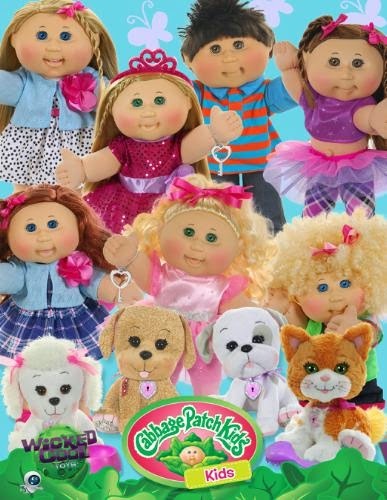 Wicked Cool Toys has an exciting and comprehensive line of new Cabbage Patch Kids® products planned for Fall 2015. Innovative and adorable, the 14" Cabbage Patch Kids come in eight different fun fashion themes, and are ready to adopt, love and to become that special friend for life! 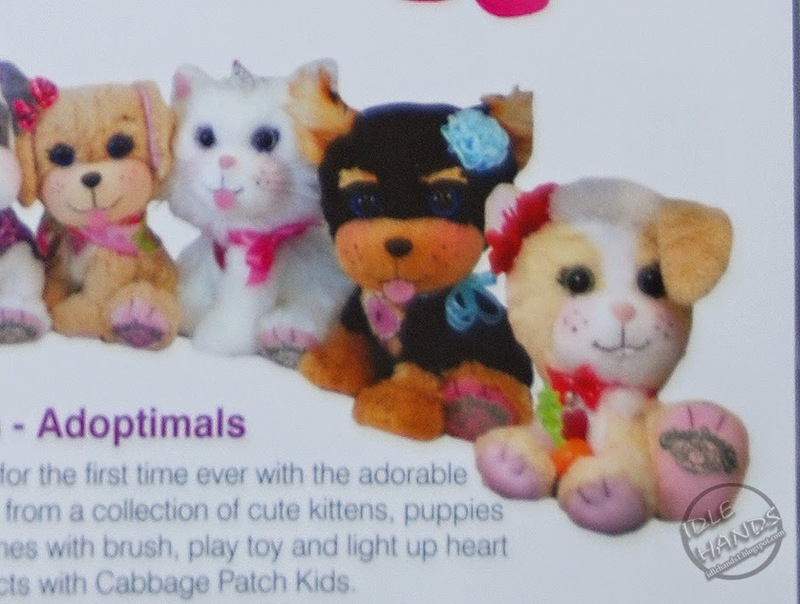 And, now for the first time ever, these Cabbage Patch Kids feature a bracelet with a heart shaped charm that interacts with the Kids' newest best friends - the adorable Adoptimal Pets. The new 'Kids® collection features girls and boys in the new styles, and each comes with a unique one-of-a-kind name, birth date and their very own birth certificate and adoption paper from Babyland General® Hospital. Cute, cuddly, and looking for a good home, the 8-inch Adoptimals feature pet sounds and a special heart locket that lights up when pressed. Have fun collecting them all or use the key bracelet from one of the 'Kids to unlock your Adoptimals magical heart beat. Each precious pet includes a bowl and brush. Cabbage Patch Kids: Combining the classic cuddly look with loads of fantastic outfits, the new range includes Boho Girl, Adventure Girl, Vintage Girl, Glamour Girl, Glitz Girl, Trendy Girl, Adventure Boy and Rocker Girl. Each kid is 14 inches high and comes with a heart necklace that interacts with the Adoptimals range. 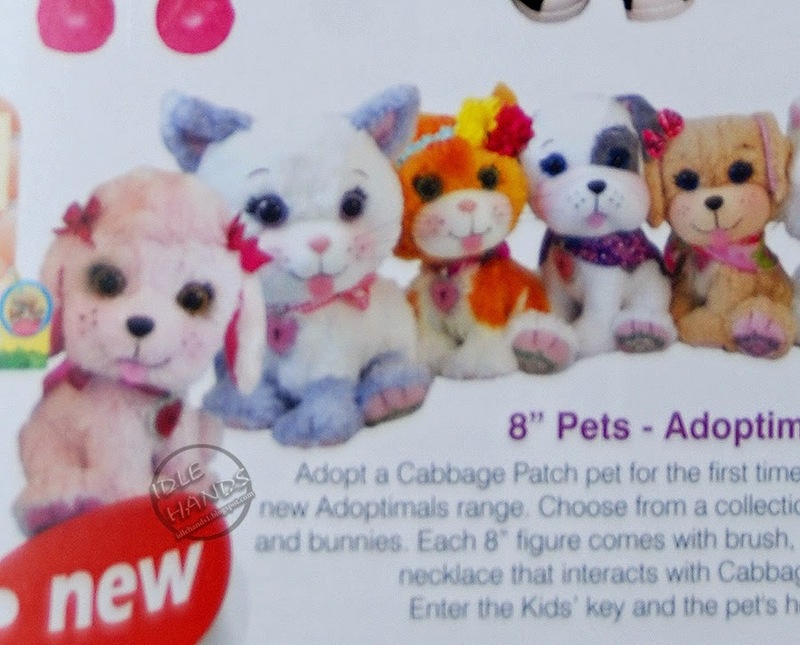 Adoptimals Pets: Adopt a Cabbage Patch pet for the first time ever with the adorable new Adoptimals range. Choose from a collection of cute kittens, puppies and bunnies. 8 different ones to choose from. Each 8" doll comes with a brush, play toy and light up heart necklace that interacts with Cabbage Patch Kids dolls. Enter the Kids' key and the pet's heart will beat! 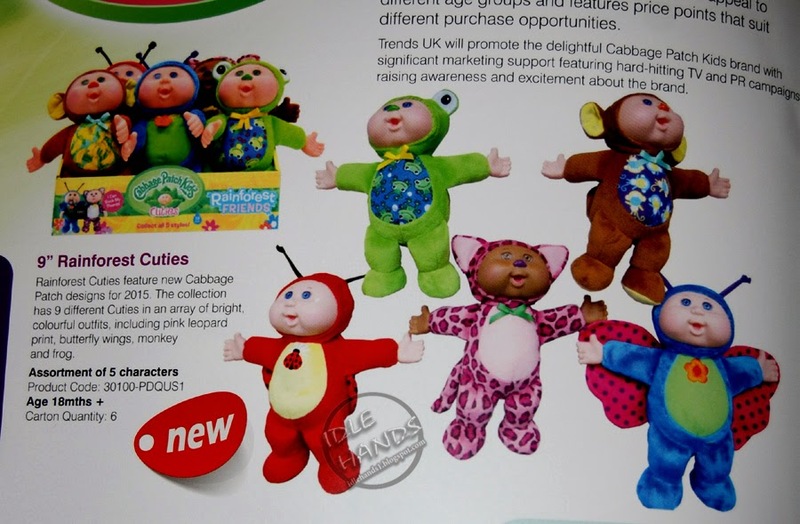 Rainforest Cuties: Features new Cabbage Patch designs for 2015. The collection has 9 different Cuties in an array of bright colorful outfits, including pink leopard print, butterfly wings, monkey and frog. 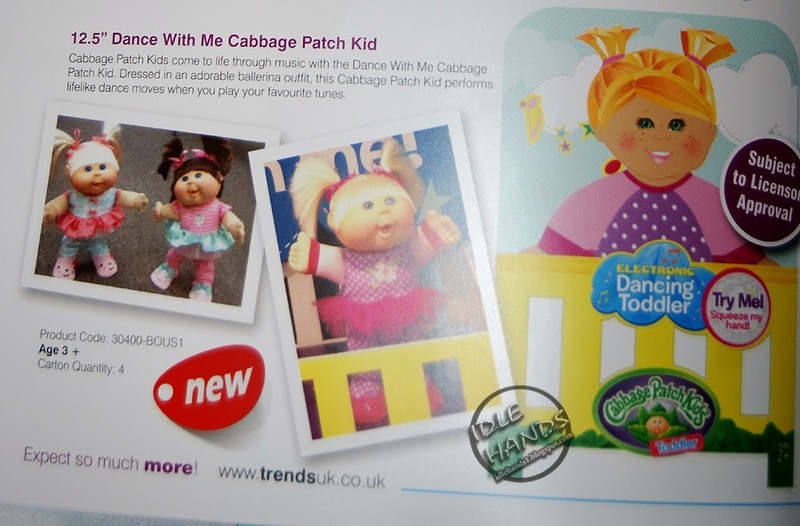 Dance With Me Cabbage Patch Kid: Dressed in an adorable ballerina outfit, this Cabbage Patch Kid performs lifelike dance moves when you play your favorite tunes. Moreover, the Cabbage Patch product line from Wicked Cool Toys will include a variety of lovable babies, accessories, a home and more! Cabbage Patch Kids® have been woven into the fabric of American families and culture. From the cover of Newsweek Magazine (1983), the first Kid in space travelling on the 1985 Shuttle to becoming the official mascot of the 1992 and 1996 U.S. Olympic Teams and having their own U.S. Postal Stamp, through countless appearances at local and international events, the Cabbage Patch Kids® have earned a place in our society and hearts not usually reserved for a toy brand. 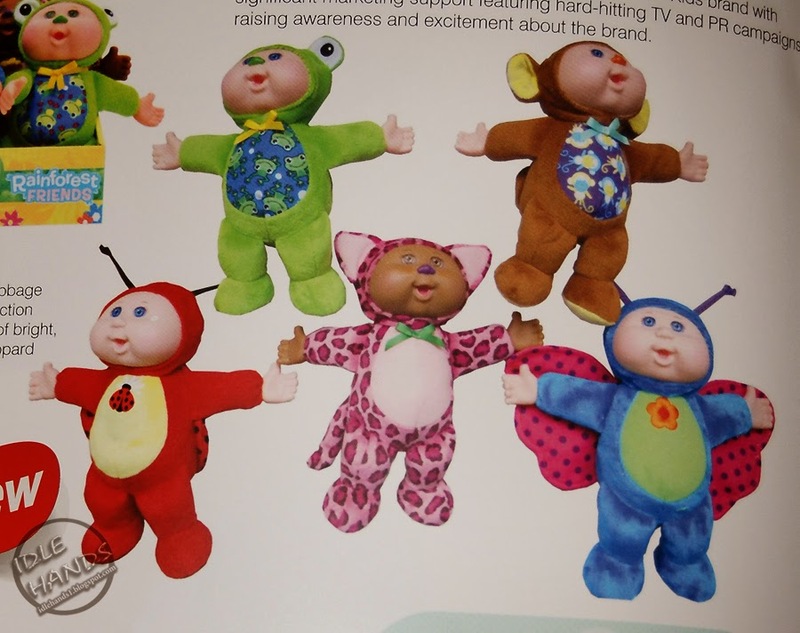 "Wicked Cool Toys is the right partner at the right time for Cabbage Patch Kids," explained Della Tolhurst, President, Original Appalachian Artworks, Inc. "Their leadership and staff are extremely experienced, yet young, fresh and forward-thinking. 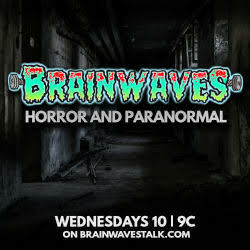 They are just the team to catapult our brand into the future both here and around the world." 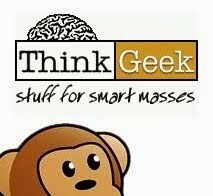 such a great post to share the information to learn.